Here’s what’s happening at HMNS this week! Tuesday, June 14, 6:30 p.m.
As a young man, Henry Bates risked his life for science in the 1850s. 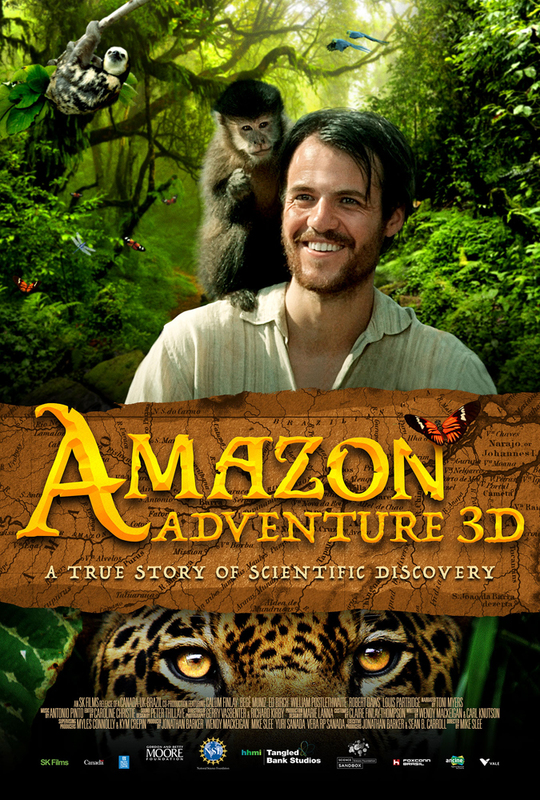 “Amazon Adventure 3D” tells the epic, true story of the explorer’s fascinating 11-year journey through the visually stunning and biodiverse Amazon rainforest. Bates made crucial contributions to biology: identifying 8,000 species new to science. A special evening presentation of “Amazon Adventure 3D” features opening remarks by Erin Mills, Director of Cockrell Butterfly Center. Audiences will be wowed by the mind-boggling examples of camouflage and mimicry and inspired by Bates’ endless curiosity and determination to explore the wilds of nature from the time he was a young boy. Click here to learn more. Come fly away into the world of butterflies this summer at the Cockrell Butterfly Center with Wing it! Introduce yourself to your favorite flutterers and watch the release of 100 to 200 new, greenhouse-raised butterflies into the enclosure. Get schooled on Lepidoptera in a Q&A with the CBC team during the release. Every Tuesday, 10:30 a.m., Memorial Day through August. Free with CBC admission. Every Friday @ 9:30, 10:30 and 11:30 a.m.
Leave your table manners at the door during the Friday Feeding Frenzy at the Cockrell Butterfly Center. Watch our staff feed members of their live animal collection, including snakes, centipedes, and praying mantises. See science in action and learn how these creatures keep themselves fit and fierce! Every Friday, 9:30, 10:30, and 11:30 a.m., Memorial Day through August. Free with Butterfly Center admission. During the hours of Friday Feeding Frenzy, Members get FREE admission to the Butterfly Center! Not a Member? Become one today! For millennia, humans have longed to fly like a bird, to take to the sky, arms outstretched, with the power and innate grace of the avian masters. While human biomechanics will never allow for the facility of unfettered flight, today’s virtual reality (VR), coupled with robotics and simulation technology, can deliver an experience like never before…..fulfilling our ultimate dream of flying like a bird. Fly! Be Free! is located in the Grand Hall at HMNS at Hermann Park and tickets can be purchased onsite. Welcome to Jurassic Park! 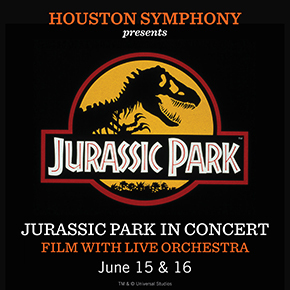 Experience one of the most thrilling science fiction adventures ever made, projected in HD with the Houston Symphony performing John Williams’ magnificent score live. Masterfully directed by Steven Spielberg, Jurassic Park transports us to a secluded island where scientists have succeeded in reviving the age of dinosaurs in a brand new, immersive theme park. Get ready for a movie night like never before, only at Jones Hall! Tickets here. *20% off price levels 2-5. Offer not valid with any other offer or discount. No refunds or exchanges. Kelly is a slightly dog-obsessed Jedi and Director of Online Media for HMNS. Her favorite activities include photography, stargazing at the George Observatory and finding new ways to bring the wonders of HMNS to the world. All About Bug Gardens, Bone Picking And Bullets Trains: HMNS Has The Knowledge You Need This Week!